The rumor mill never sleeps. 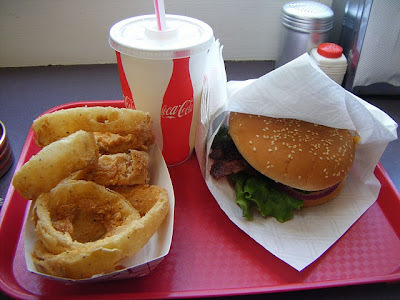 And here’s what came into my inbox over the weekend, courtesy of Eater Grace Jurado: “I heard yesterday that Red Mill Burgers was taking over the Totem House by the Ballard Locks. Is there anything you can tell about this rumor? I think fish dipped in Red Mill’s onion ring batter would be soooo good.” Whoa. Now, there’s a restaurant rumor I could wrap my brain around. To say nothing of my mouth. Want to supersize that? Sure, with a side of fish, please! So I got right on the horn with Red Mill owner John Shepherd, who had this to say about that: Yes, he and his sister and business-partner Babe Shepherd have their eye on the prize: the fish ‘n chips joint across from the Ballard Locks, abruptly closed in December. In fact, he said, they’ve had their eye on it for years. “We made a run at that thing in 2006,” John recalls. 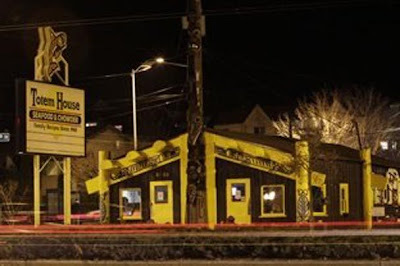 Back then, the owners of Red Mill Burgers (and the properties they stand on) in Phinney Ridge and Interbay had it in mind to buy the Totem House and make it their own, but a sale didn’t pan out. So when the sibs heard about the recent closure, they got excited all over again, and have since sent a letter to the owners — a local investment company — expressing their interest in the local landmark. So far, they’ve heard nary a word in response. What Red Mill’s owners don’t want, is to hear that the developers have bulldozed another restaurant icon, a la Twin Teepees. “If we did get our hands on the place,” through a sale or lease, “we could turn that thing around quickly, maybe in three months. If these guys wanted to negotiate, I’d go for it.